The tiny town of Hampstead, N.H. (pop. 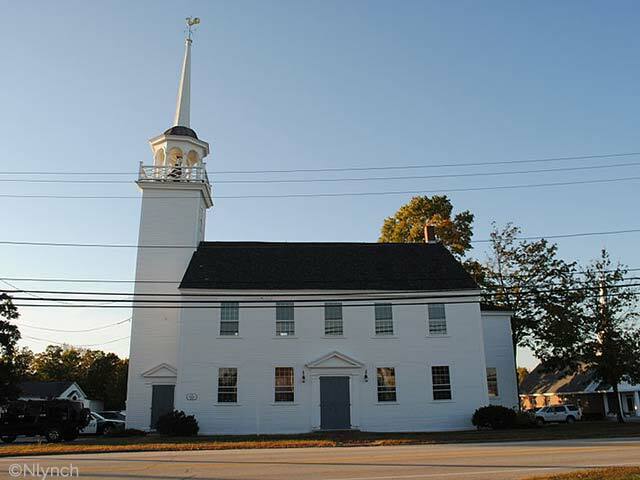 8,586) in Rockingham County was formed back in 1739 when the boundary line between Massachusetts and New Hampshire was established. Because of its heavy native tree stands, the area was originally known as Timberlane Parish. Like other towns in the area, residents of Hampstead enjoy median family incomes and poverty rates that measure up quite favorably against United States averages. Proximity to numerous natural lakes and quaint outdoor spots (including Island Pond) makes for an environmentally attractive place to live, while nearby Boston offers some of the finest economic and educational opportunities in the United States. For places to eat, on the lighter side, try Beantown Coffee House or Honeydew Donuts for a morning bite with joe. At lunchtime, head over to Christina’s Country Café or Mediterranean food at Commodore Grill. Also try Southern barbecue and New England seafood at Lobster Q or a wide beer selection at One Eleven Village Square Restaurant. For dessert, Beyond Vanilla Ice Cream is a nice treat, and for a nighttime snack, go to Toss N’ Sauce Italian Pizzeria, Cosmos Pizza or Prime Pizza.